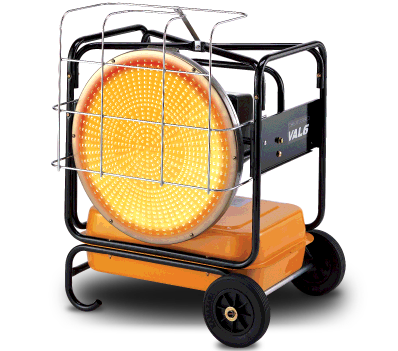 This heater has unmatched value providing many applications. The VAL6 can start up or shut of in seconds and reaches peak efficiency in less than a minute. Since the VAL6 doesn’t lose heat to the air, it uses less fuel and BTU’s to go way beyond the comfort level of any stadard portable heater.